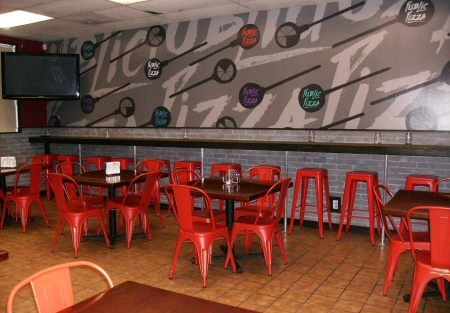 This is a Long Time Pizzeria with an Established Neighborhood Business in the Los Angeles Area. It Currently Does Quick Service Italian with Subs, Pizza and Pasta with Delivery being offer as well. Restaurant was just selected to be on a TV Show where they come in and give the place a face lift and film the before and after. This has TRULY been an amazing transformation. We left some "Before Shots" so you can judge for yourself. Show will not air till around November SO whoever purchases this restaurant has time to come in and get comfortable before NEW Customers start coming in to see for themselves the transformation. This is the perfect business for savvy owner looking to grow an established concept with their hard work and smarts or a Great family business. Located near a major hospital with thousands of employees, this local pizzeria has a solid customer base plus a vendor purchase order relationship with the hospital. Owner has established relationships with local schools using pizza's as a way to raise funds for many different projects. Local Sports teams come to take in a game and celebrate there great Win or refresh from the loss at this pizza place. GREAT PRODUCT: The owner is leaving the area wants to sell this pizza business. Sales have been steady and each new contact brings further increases. Since the current owner has taken over Yelp reviews have improved to a 4 star average. Currently serving tap beer with 6-8 handles attracting the after game crowd and great place to grab a great tasting Pizza and beer with friends. AMAZING LOCATION: A corner spot, located on a major street giving you everything you need to get into your own business that's ready to grow even further. The owner will train you and show you the trade secrets. A person who likes to connect with the community will thrive here! Owners decision to leave the area is your gain. The possibilities are endless with this established pizzeria. Go to the SellingRestaurants dot com to get Name, Address and Pictures so you can visit and see if this is not just the opportunity you have been searching for!